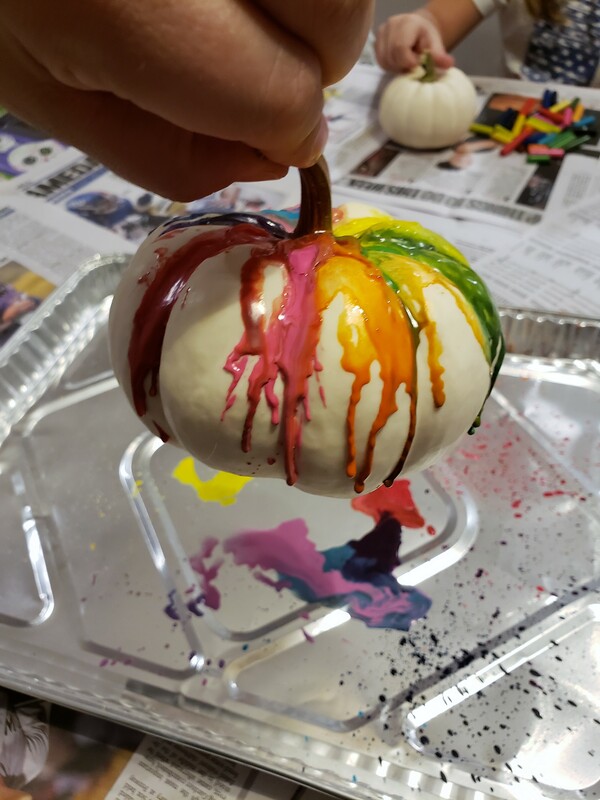 I love finding different ways to decorate pumpkins. 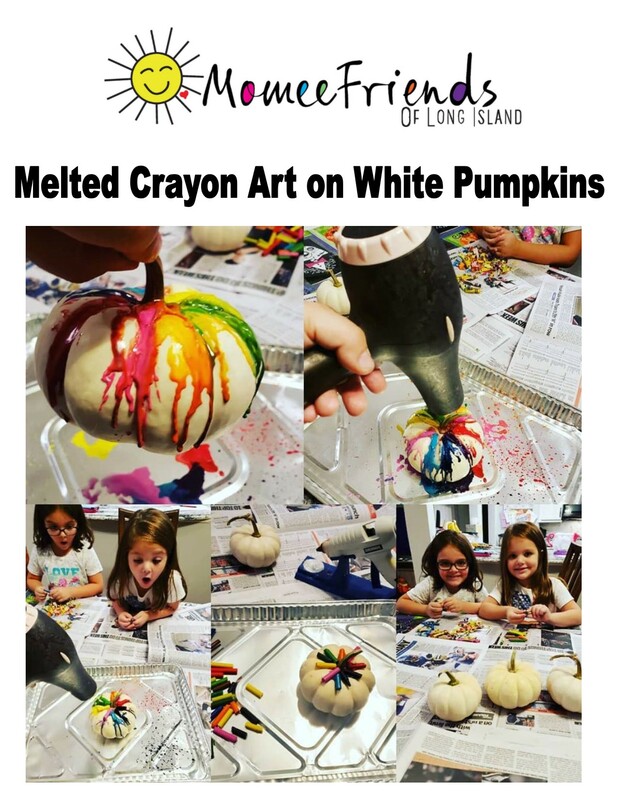 While searching Pinterest , I saw this fun idea of doing melted crayons on white pumpkins and I loved how the colors popped. 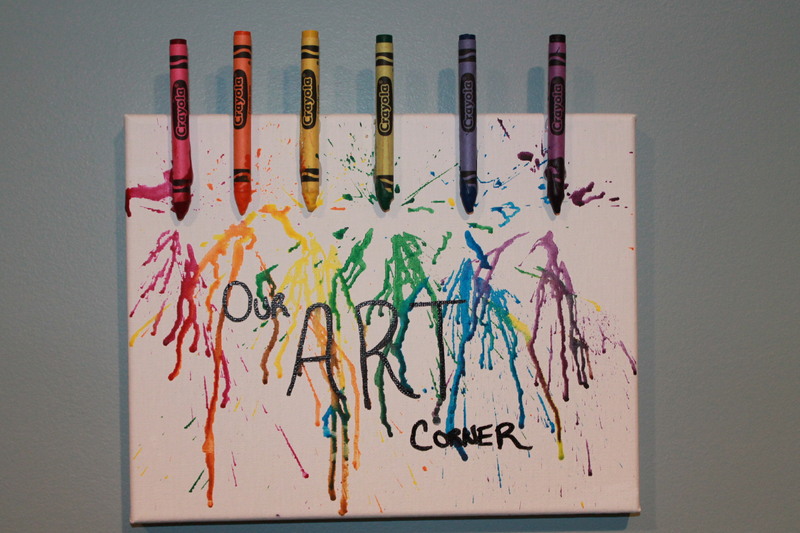 I also, love the idea of reusing broken crayons for another project. 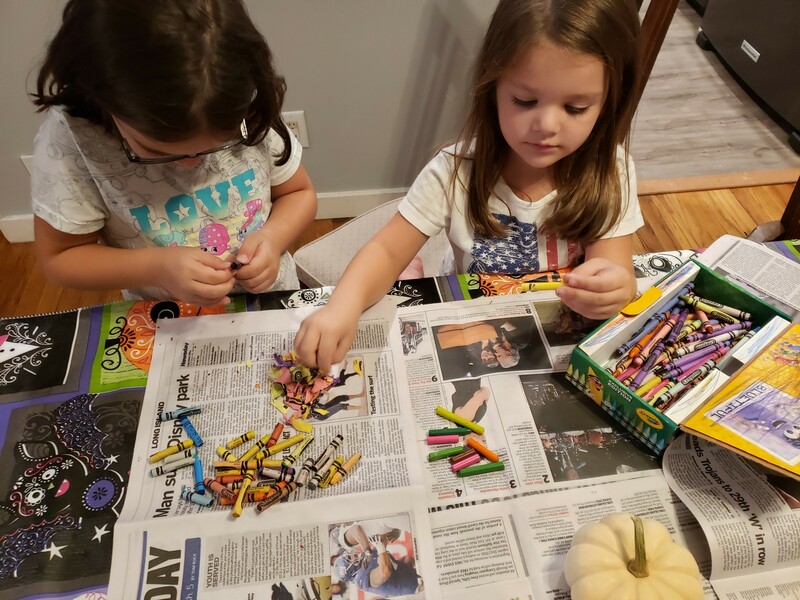 I had my little helpers take the paper off our broken crayons. Local Momee Friend, James told me this fun tip after I posted this on Facebook and I had to share it. 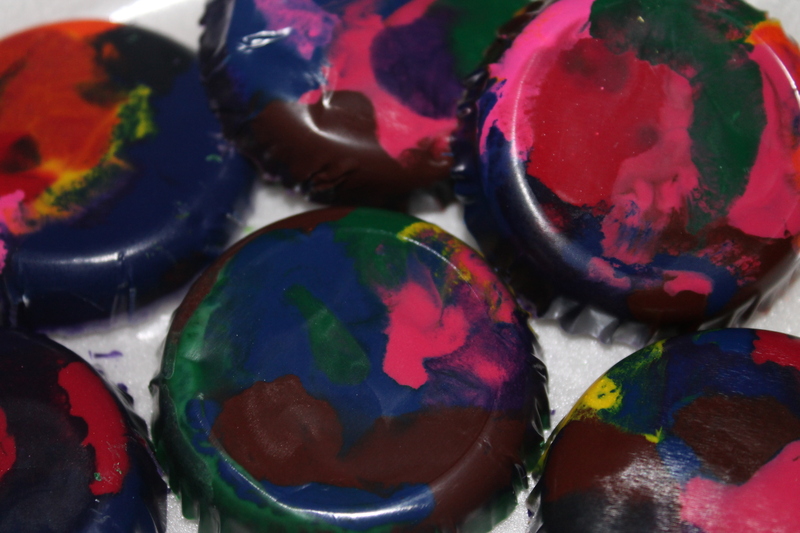 He suggests, throwing the crayons in warm soapy water. Let them soak for about 5 mins and the wrappers will come off. Saves so much time and aggravation. How awesome is that? 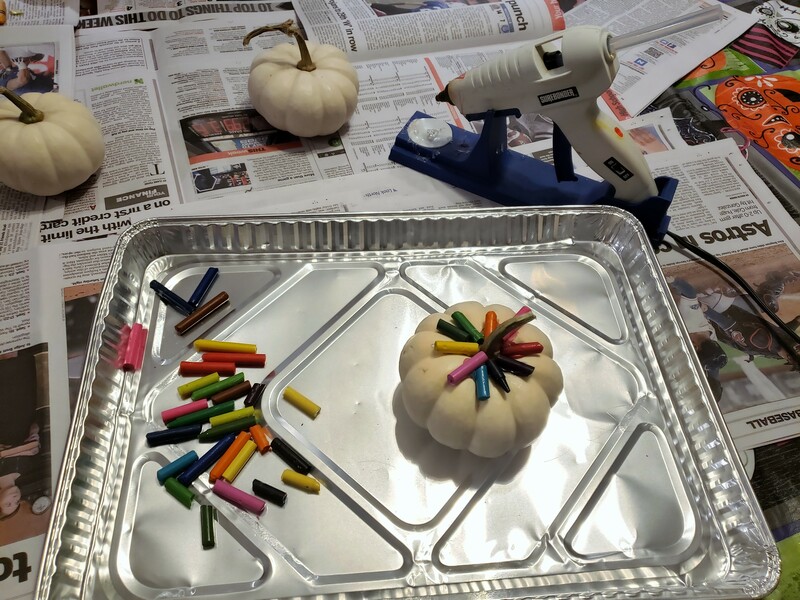 The next steps the adult must do because of the hot glue and the hot wax that will drip off the pumpkin. 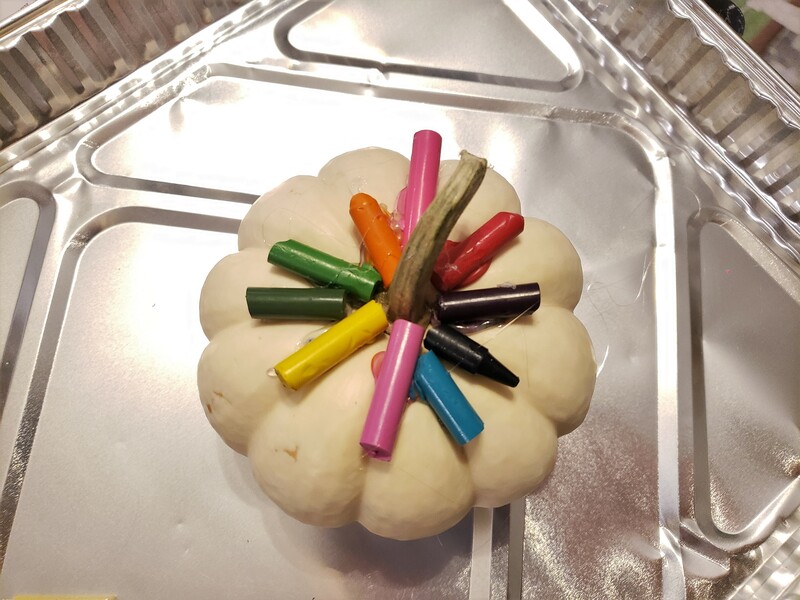 I then hot glued the broken crayon to the top part of the pumpkin near the stem. 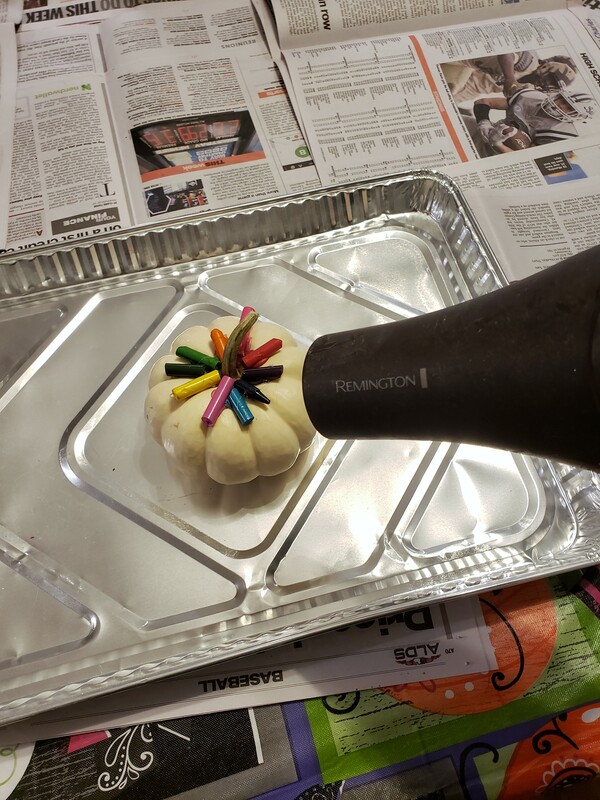 Then, I used an old blow dryer because the melted crayon can splatter (definitely cover the surface and around the area you are doing this craft you will get colorful crayon wax everywhere). Then, watch the magic happen. 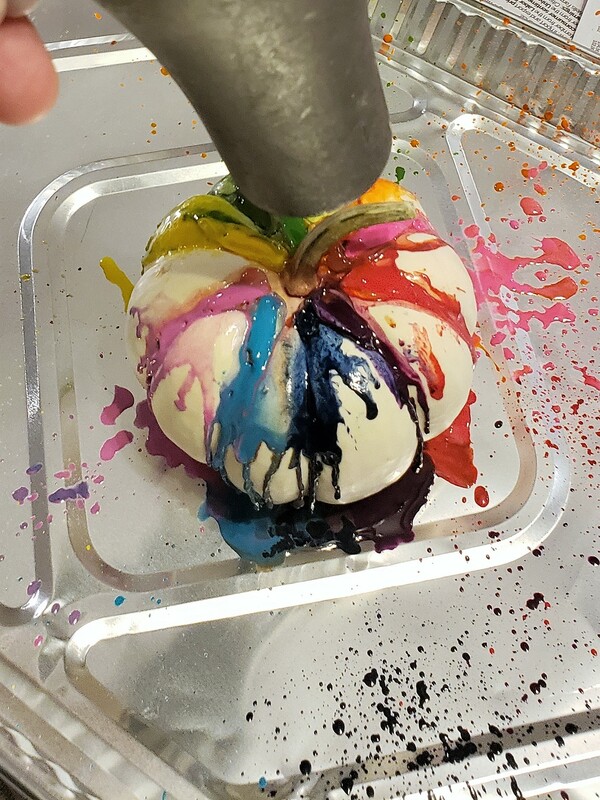 The colors splatter and do their own thing making for a fun pumpkin for those who love artsy pumpkins. 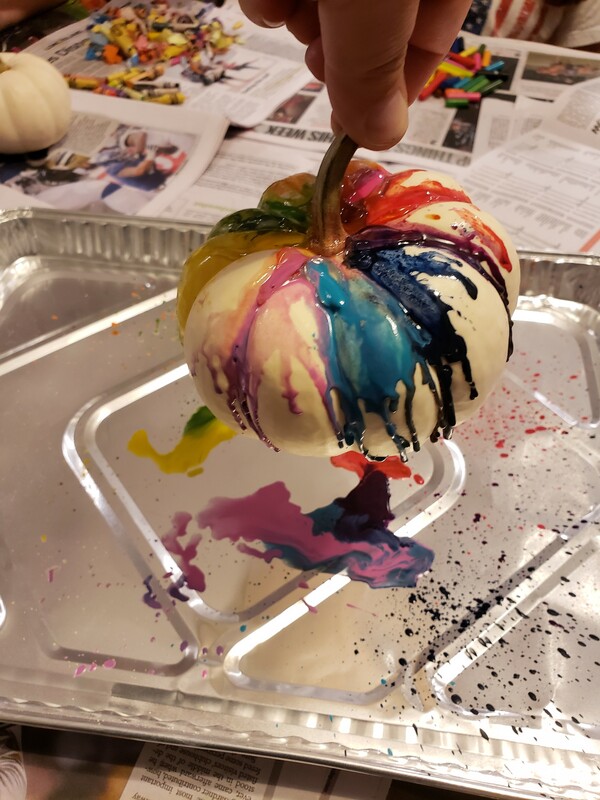 Super colorful… what do you think? 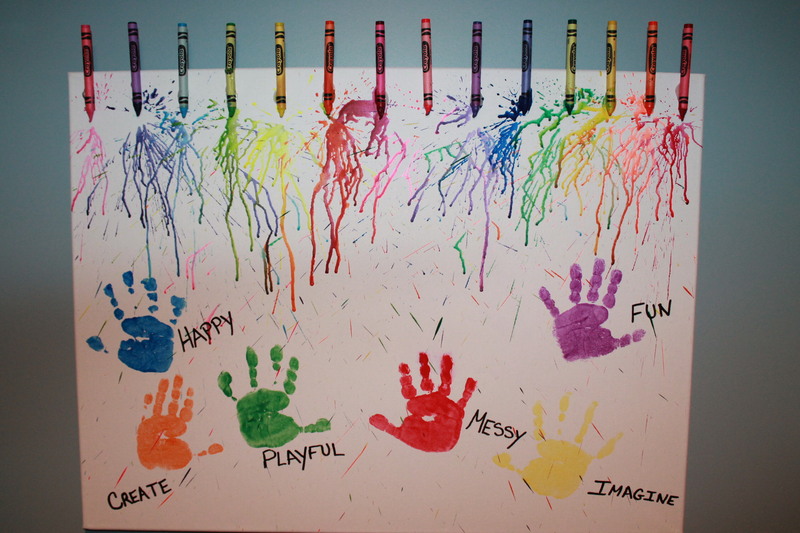 The only thing is you would have to display them inside because outside the crayon would continue to melt because of the sun and make a huge mess wherever you have them displayed. 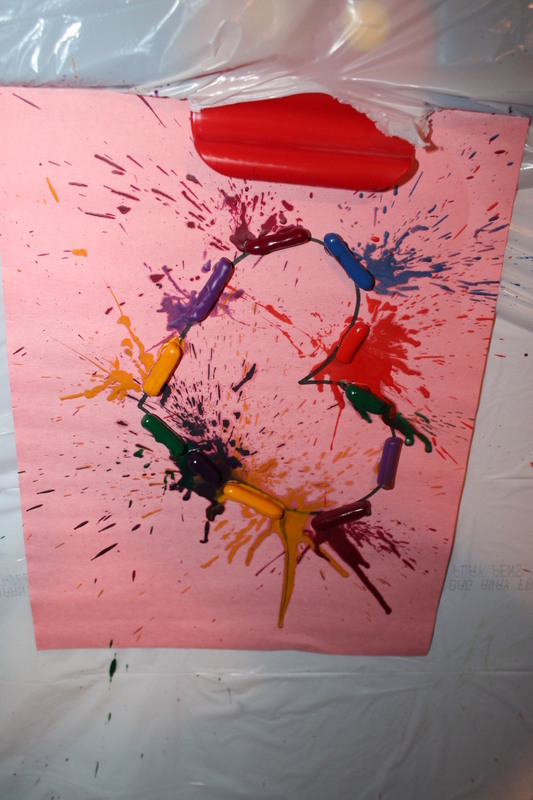 We love Melted Crayon Art! 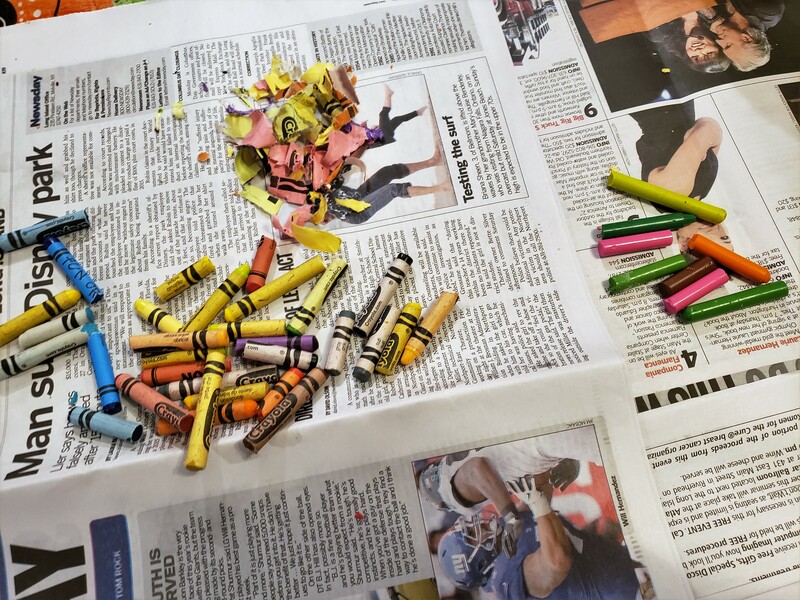 You can also, melt your broken crayons down to make new crayons. 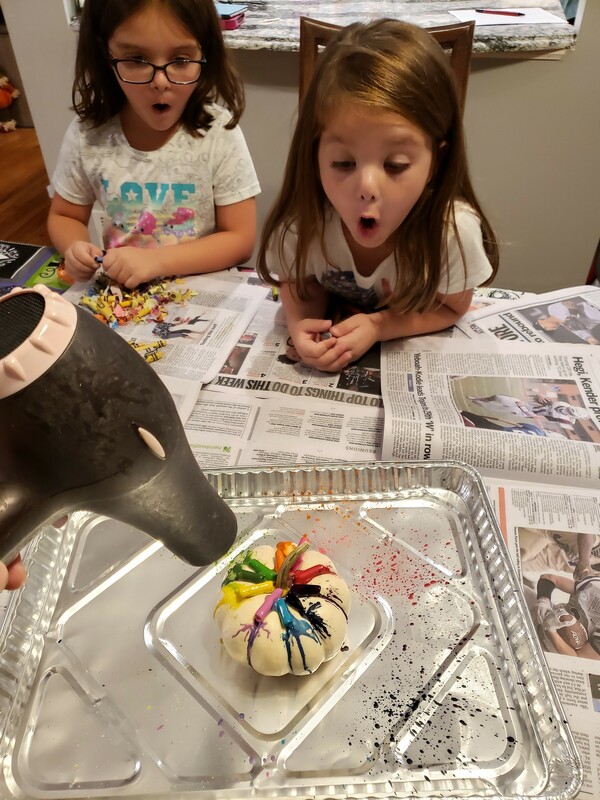 Goldfish Swim School Centereach opening in January 2019!